Catholic Church in Slavsko Village Near Lviv. 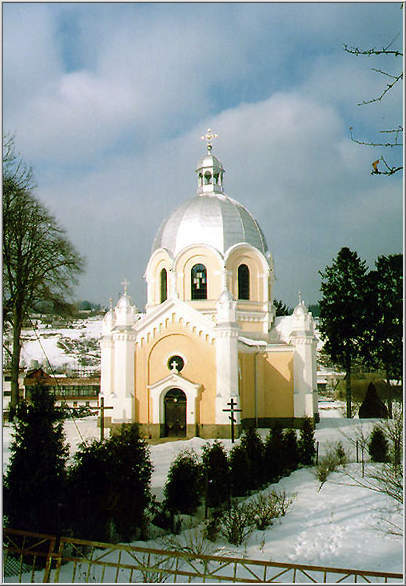 Slavsko village in Lviv region is one of the \nmost popular ukrainian alpine skiing resort. It has numerous tourist hotels and skiing facilities.